HELP YOUR CHILD SUCCEED WITH SPELLING! 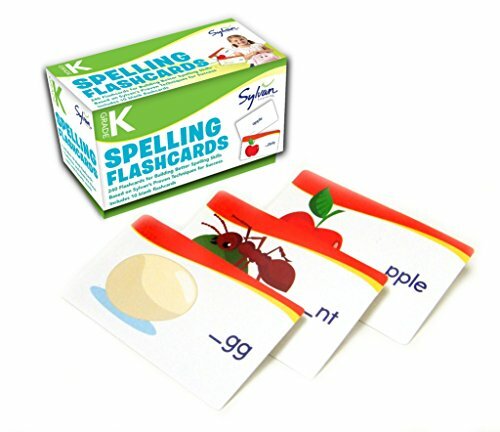 Colorful illustrations and exciting words make these spelling flashcards fun for any kid! We’ve selected 230 words to help your child develop skills in phonics and spelling, and included 10 more blank cards so your child can add personal words like family names or favorite foods. Plus, you can keep track of which words your child has learned with the color-coded meter on the side of this box. Once your child feels comfortable with a card, flip it upside down, move it to the back of the box behind the divider, and watch your child’s reading skillset grow! View More In Basic Concepts. If you have any questions about this product by Sylvan Learning Publishing, contact us by completing and submitting the form below. If you are looking for a specif part number, please include it with your message.